It’s a full weekend of West as the first, reserve and women’s team all see action throughout the weekend. It all kick off on Friday night as the lights are on at Silver Street when Steve Settle’s side take on Irlam, 7:45pm KO. West enjoyed their visit last year winning 6-0 almost a year to the day ago with goals from Joe Shaw, Ash Woods, Matty Kay, Ben Woods and Jonny Poizer (2). 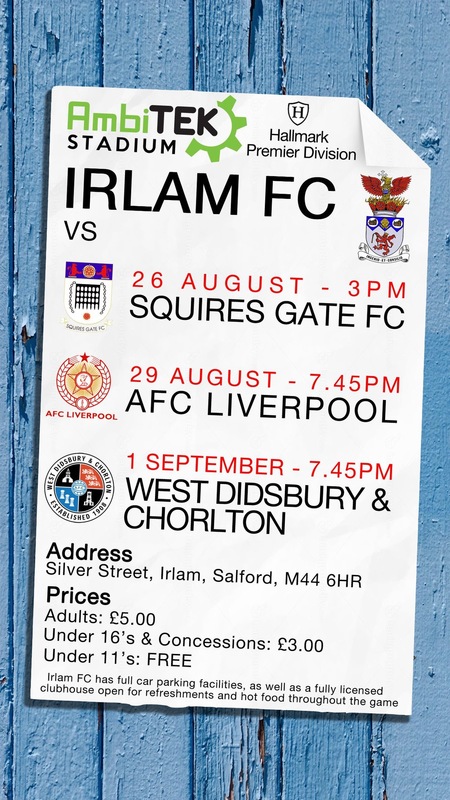 Irlam boast one of the best facilities in the NWCFL with their newly built clubhouse one of the best of its kind in non-league. Admission is £5 for adults, £3 concessions and Under-11s are free. On Saturday the Reserves travel to Halebank as they look to climb the table having started the season without a win in the first five games. The seconds enjoyed their visit their last season when they ran out 4-3 winners. Kick-off is 3pm and admission is FREE. 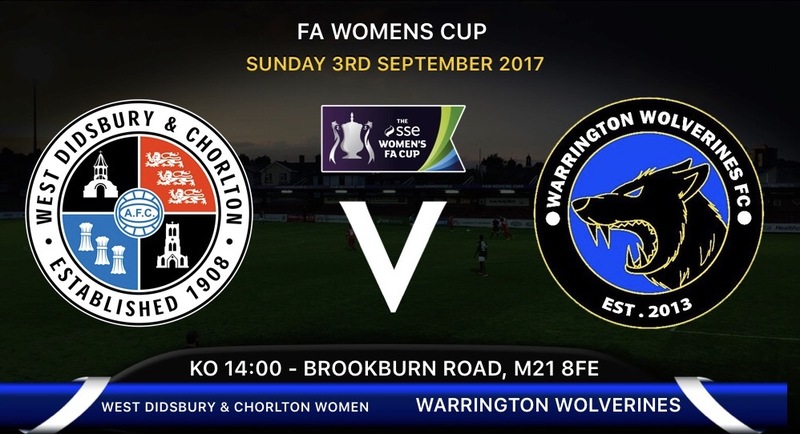 On Sunday, West Women finally kick off their season when they welcome Warrington Wolverines in the FA Women’s Cup. It will be the first competitive women’s game in the clubs history in addition to the first time they’ve entered the national competition. West will be looking to make an instant impact against divisional rivals Warrington who have previously visited Brookburn Road where they faced Chorltonians at this stage last season running out 2-0 winners with Wendy Booth scoring the first ever women’s goal. The Road to Wembley kicks off at 2pm, with the bar open as usual and everyone welcome to get down and support the women in their first ever game.